From short and twisted to long and narrow - noodles come in all different shapes and sizes. March is National Noodle Month and there are plenty of options in the Houston area of places to go an enjoy noodles of all shapes and sizes. From River Oaks to the Heights and over on the East Side - we tracked down some tasty and unique noodles dishes you’ve got to try! Have you ever tried Trofie noodles? The noodles are short, thin and twisted and from Liguria in Northern Italy. At Grotto Downtown the Capra menu item includes Trofie pasta, grilled chicken, arugula, mushrooms, Calabrian Crema Rosa with Goat Cheese Crumbles. This casual tavern style restaurant on Studewood in the Heights features various Greek menu options. 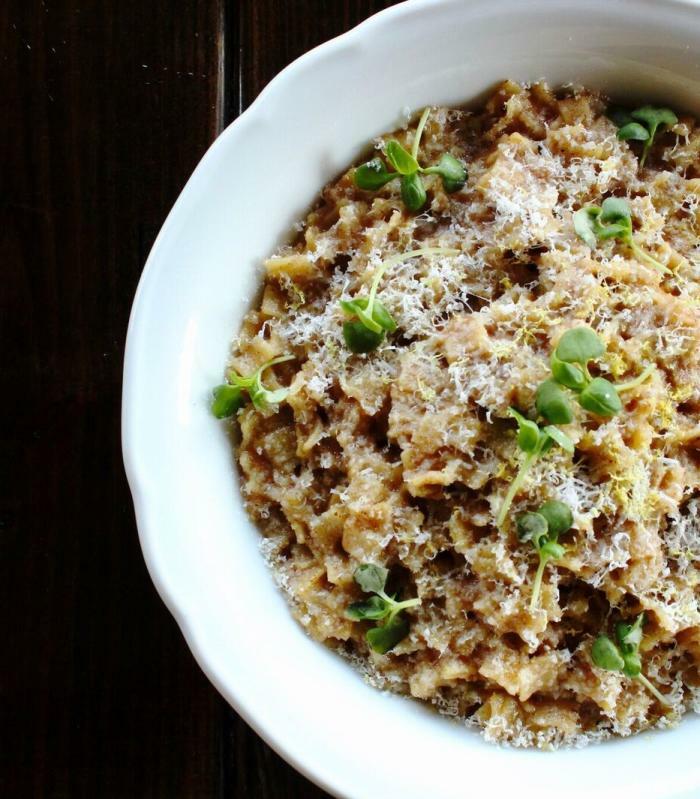 For National Noodle Month, enjoy their Broken Pasta and Brown Butter, which is made with Myzithra cheese, green onions and lemon zest. 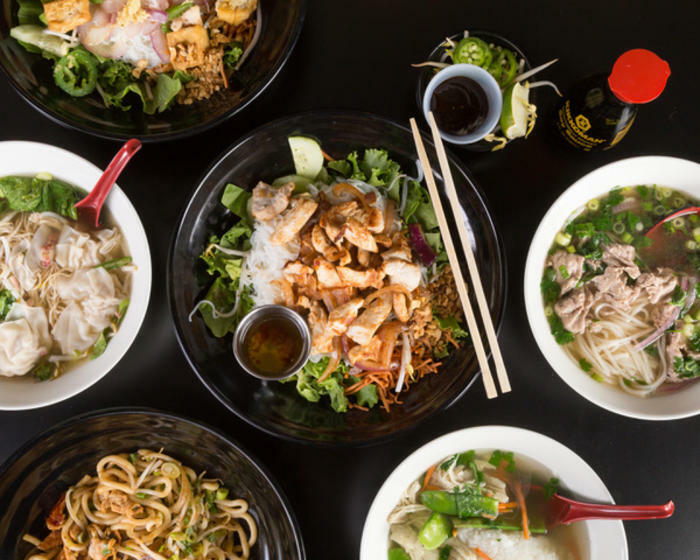 What better place to enjoy noodles than at Jenni’s Noodle House in the Heights? 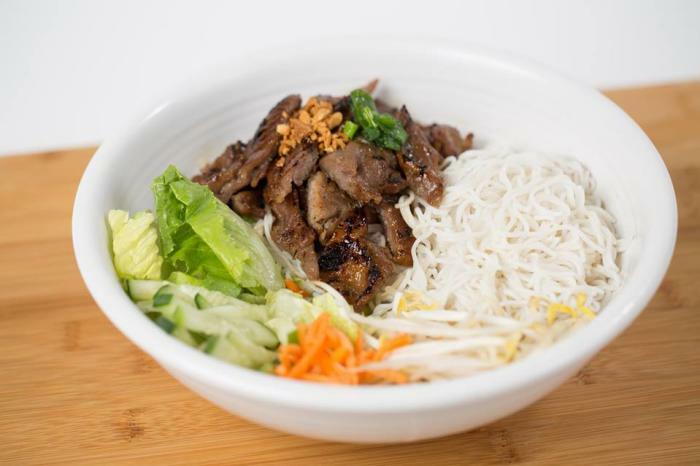 The fun, casual inviting atmosphere is super kid friendly, and the fresh, healthy Vietnamese menu items are made to order. The Infernal Chicken Curry and Art Car Curry are the most popular dishes, but they offer various types of noodle options including Rice, Udon, Soba and Egg. Local Foods Upper Kirby is known for fresh food, sourcing from local farmers and the casual walk up ordering. 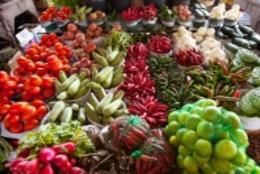 The menu is always changing according to what is in season and at its best. 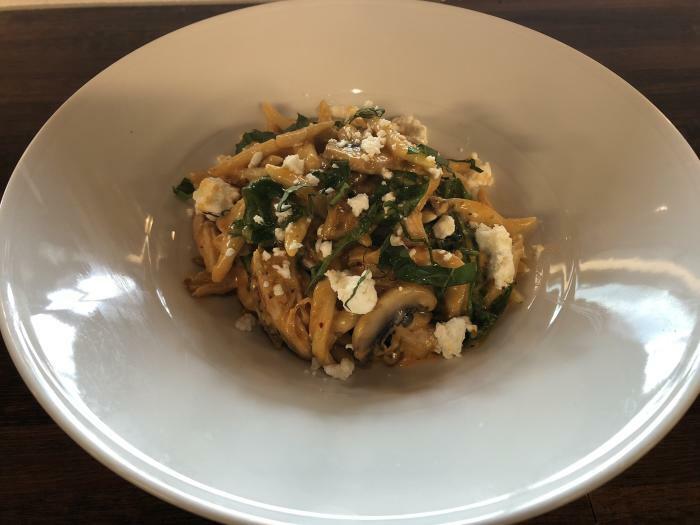 For noodles, try the Veggie Pasta served with Tavola pasta, seasonal veggies, parmesan and coco-butternut kaffir lime sauce. Add chicken or shrimp to give it an extra kick! The name of this restaurant says it all. 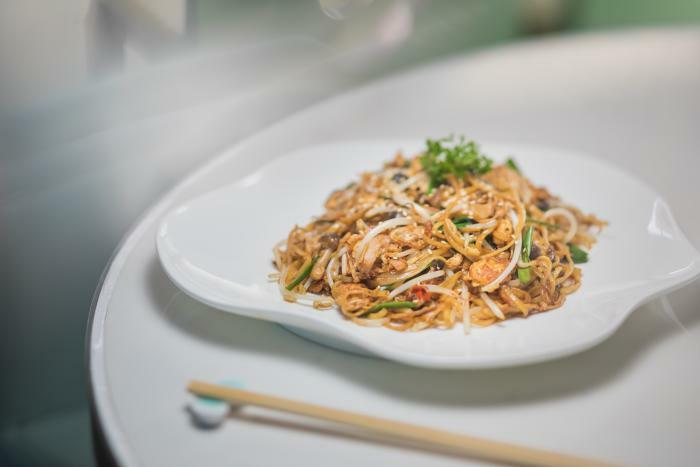 From Spicy Noodle Soup to Egg Noodles, Ramen Noodles, Vermicelli noodles, Vegan Pho and more there are plenty of noodles to check out! 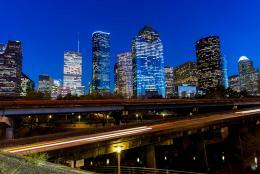 With several locations around town there&apos;s no reason not to add this place to your Houston bucket list. 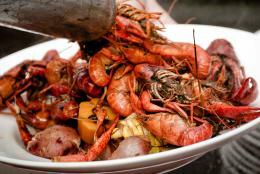 Located in a fresh and open space in River Oaks, State of Grace has a variety of menu options to impress. With crowd favorites like the Korean fried chicken wings and duck carnitas, you can&apos;t go wrong ordering anything off the menu. 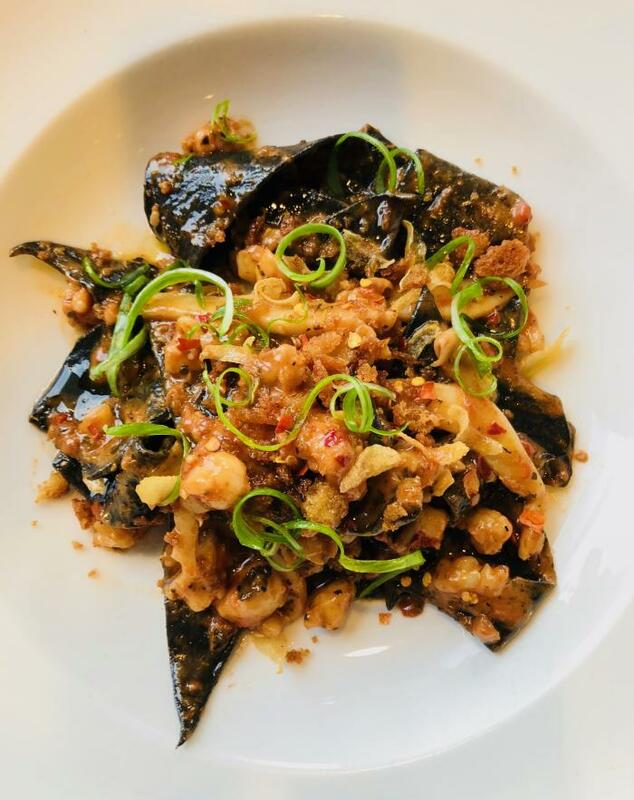 For noodles, try the squid Ink-stained Stracci Pasta tossed with Gulf Shrimp and Sepia Sugo for a unique flavor. Need a reason to get away for a night? Celebrate Noodle Month with a staycation hotel stay and dinner. These hotel restaurants have fabulous noodle menu selections! Hotel Granduca offers a selection of noodle-based dishes at its on-site restaurant, Ristorante Cavour. 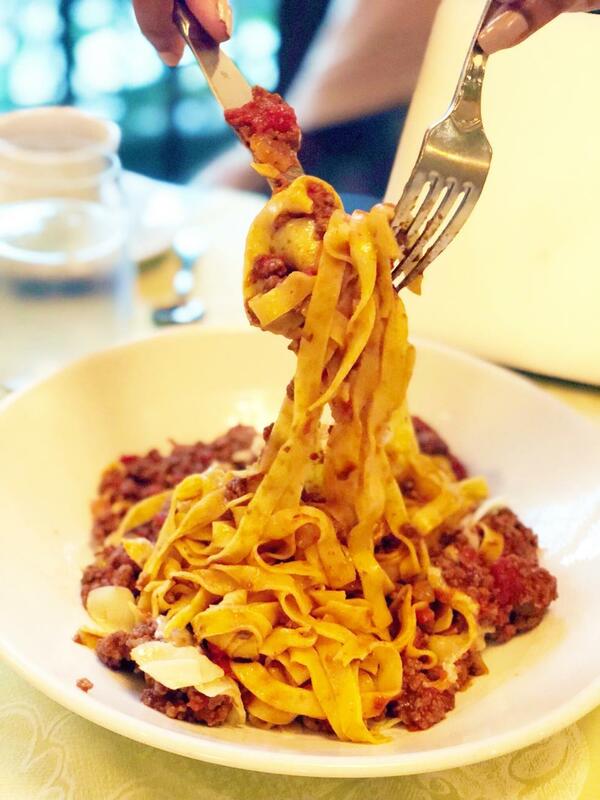 Guests can choose between mouth-watering Italian classics like Tagliatelle with meat sauce bolognese, Risotto, as well as Ricotta Spinach Gnocchi with lobster and brandy curry sauce. 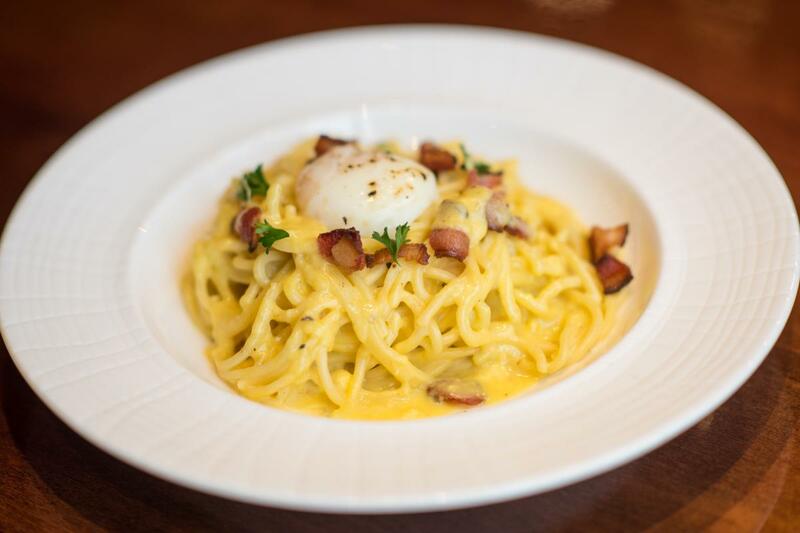 Quattro at Four Seasons Hotel Houston has a number of noodle dishes to enjoy, including the Lasagna, Shrimp Ravioli and Carbonara. The restaurant puts a Texas spin on the classic lasagna dish by adding Texas Akashi beef in with the ricotta cheese. The Shrimp Ravioli is filled with a mixture of spinach and shrimp topped with a Meyer lemon sauce.